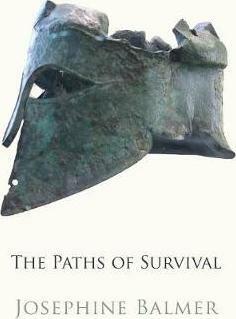 The Paths of Survival, by Josephine Balmer. Jonathan Culler, Colin Simms, and celebrating poets. In his 'Theory of the Lyric' (2015), a book which deserves adjectives like 'monumental' or 'magisterial', Jonathan Culler drifts across an unexpected argument. Without explicitly saying so, he suggests that the minority status of poetry might well be the result of academic approaches to it. This is perhaps ironic coming from the academic critic who many years ago defined a competent reader as someone who had been trained to read literature as literature and to produce academically respectable, critical responses to poetry. He suggests it might be better for the health of poetry, if instead of always assuming a poem is something that HAS to be interpreted, we might consider a poem as something to be used, the way we use songs. Pace Mr. Culler, whose book, incidentally, is well worth reading, there are people who do 'use' poems the way they use songs: memorise them, quote from them, use them to say things more eloquently than they would manage in their own words. I do it on a daily basis without any kind of shame or angst. However, it's not an approach that has ever been seen to have any kind of critical validity. We learn to read poems and 'read' and 'analyse' or 'read' and 'interpret' are treated as synonyms. We also learn to read in a critical culture where negativity, and suspicion are the dominant norms and finding fault the default, rewarded manoeuvre. The idiotic and deliberately offensive trashing of Anhaga in text is a fine example of a wannabe critic trying to be clever at the expense of a book he didn't bother to read. You can tick off all his appropriate attitudes as he flaunts them. But you won't learn anything about my book. So as an experiment, I'm going to post on the website blog, http://www.liamguilar.com/blog, celebrations of books I enjoy or admire as I read them. They won't be formal reviews. Poets need patrons and publishers and partisans so there's a value in celebrating other writer works, if only the value of acknowledge the pleasure their writing provides. At some stage I'll tidy up and transfer some of the enthusiasms from this blog too. 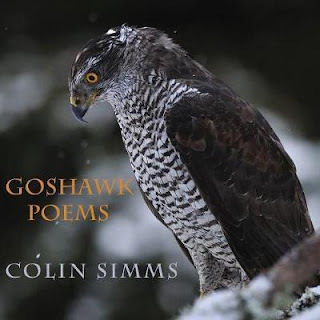 The First book I want to celebrate is Colin Simms' Goshawk poems. 'There are simply no more roles. no role to turn me inside out. one must flee to the desert. There are simply no roles any more! Where are the great writers! Where? about all our pain? ! Is it really all so inexpressible? It’s like being without a compass. and there’s absolutely no way out for it. But the roles have been removed. They put you off with bit parts. from a glass opaque with greasy fingerprints. In the womb, we are all geniuses. without a role to play. One of the strangest and most enjoyable nights of my teaching career involved taking a group of high school students, none of whom spoke Russian, to see Yevtushenko give a reading in Brisbane, of all places. He was mesmeric. Roy Risher, who sadly died recently, described a Russian Poet performing in his poem Bureau de Change. It evokes my memory of seeing Yevtushenko. filing the hall with the cry of a cantor, a triumphant pleading. would need to be a thousand years old.